I have 3 new breakfast recipe favorites, and they all happen to be gluten free. They’re so delicious they’ll make you want to jump right out of bed! 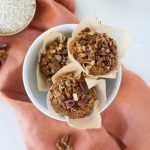 These gluten free vegan breakfast recipes are good for you, and made with clean fiber-rich ingredients to keep you full for hours. If you’ve ever struggled with finding gluten free vegan breakfast ideas, you’ve come to the right place. 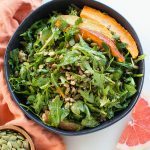 All three of these recipes are a great jumping off point for exploring more breakfast options that don’t use animal products or gluten. On most days for breakfast I will have a simple bowl of oatmeal or teff porridge topped with dates, nuts, and fresh fruit. But sometimes I want something fancier or even savory, yet still energizing. I’ve long relegated meals with processed flour and sugar to once or twice a year indulgences. A true treat for me is a breakfast that tastes amazing, looks lovely, and makes me feel really good. Processed ingredients usually leave me hungry an hour after eating, or cause uncomfortable blood-sugar swings. No thank you. 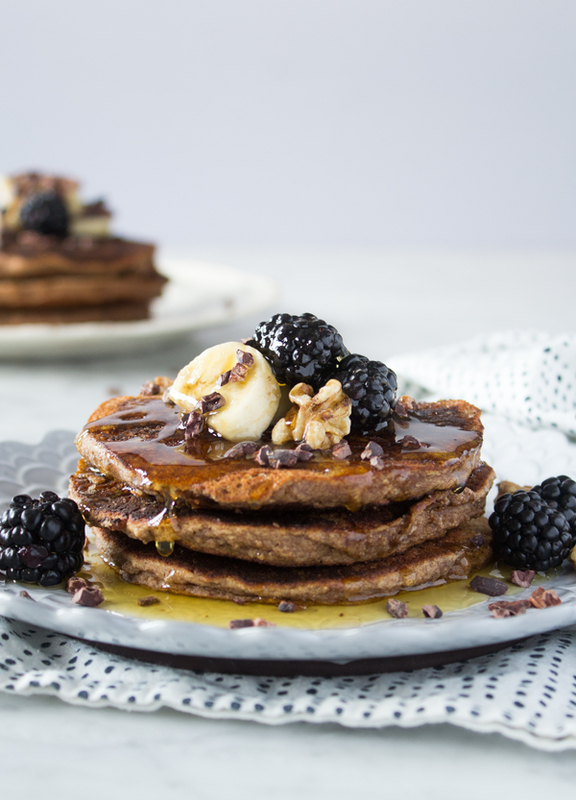 I’ll take fluffy pancakes made with almond flour and banana any day. As you know, I am not gluten free, but I don’t go out of my way to consume products that contain it. Instead, I focus on eating a whole food vegan diet, and if something happens to contain gluten I prefer it in its most wholesome form: farro grains, freekeh, sourdough bread, whole spelt flour, etc. That said, I believe a gluten free vegan breakfast can be equally as delicious and filling as gluten heavy recipes. The key is to stick to whole foods as much as possible. For most people the processing might be the real problem, not the gluten. If you do not have teff flour you can sub that for one of the following gluten free flours: buckwheat flour, brown rice flour, coconut flour, gf oat flour, or a gluten free vegan flour blend. I love teff flour because it is high in protein, fiber, minerals, and vitamins. It is the flour used to make Ethiopian Injera bread 🙂 I buy my almond flour from Thrive Market (online) or Trader Joe's. I also buy teff flour online at Thrive Market, and other gluten free grains mentioned too. In a large mixing bowl combine the almond flour, teff flour, baking powder, baking soda, cinnamon, salt, and coconut sugar. Stir well to combine. Then in another bowl combine ground flax seed meal with water to make a flax egg. Let it sit for about 5 minutes to thicken. Add banana to the flax mix, and mash well. Then pour in non-dairy milk, and vanilla extract, and stir. Warm and grease a skillet on medium heat, then pour in your pancake batter. Cook pancakes on each side for about 3 minutes. Be very careful flipping these, because they don’t have gluten they are more fragile. Serve topped with sliced banana, blackberries, walnuts, cacao nibs, and maple syrup. Most vegan sausages are not gluten free, so make sure to check the ingredients on the back of the package if you are sensitive (but I'm sure you already know that). Hilary's brand is a great option to use for this recipe. For those who don't care about sticking to gluten free try my recipe here, or Field Roast brand. For the gluten free vegan tortillas I used Food for Life's brown rice tortillas. I love them! Warm a skillet on medium heat, and add oil. Add the shallots and peppers to sauté until soft. Add in the sweet potatoes and a pinch of sea salt. Cover the pan and cook on medium-low heat, until the potatoes are fairly tender (about 15-20 minutes). In the meantime chop up your gluten free vegan sausage. It should be about the same size as the diced potato. 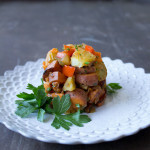 Once the sweet potato is tender, add the sausage, and black beans. Then stir in the cumin, smoked paprika, and salt. Continue to cook for another 10 minutes, until the sweet potatoes are tender. Then stir in chopped spinach, and cook another 5 minutes. Warm up your gluten-free vegan tortillas in a skillet & fill them. 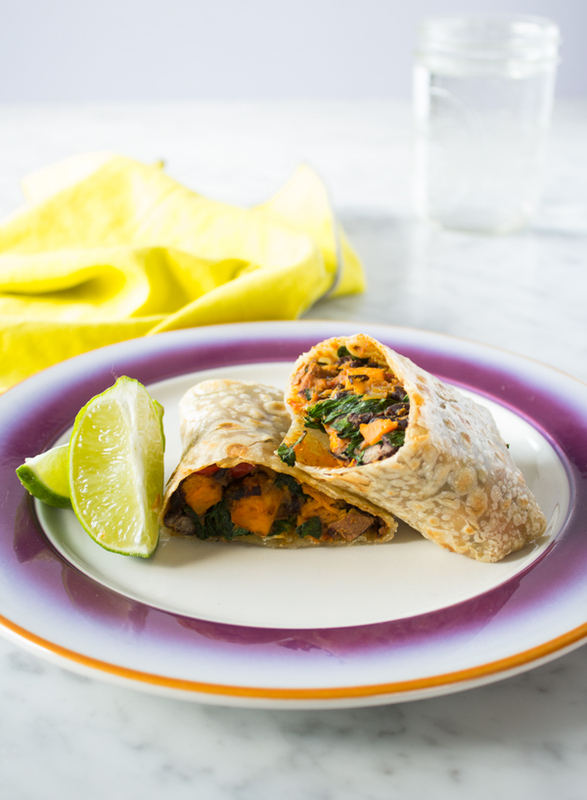 Wrap it in a burrito shape, then serve hot! I buy my cacao powder and cacao nibs from Thrive Market. As you see in the photo and video, this smoothie is pretty green. To hide the spinach more, use less of it 😉 This smoothie is also great as a dessert or sweet snack made with or without the spinach. For a morning pick me up, add some cold coffee or coffee beans to the blend. Place the ingredients into a blender, and blend until creamy and smooth. 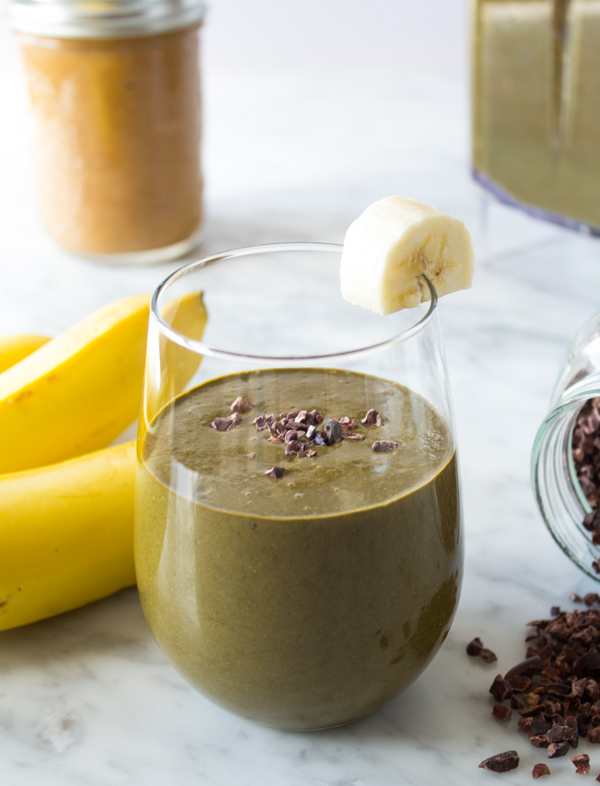 Top with cacao nibs for an extra crunch.